William F. Dobbs, Jr., is Of Counsel in the Financial Services industry group, focusing primarily on bankruptcy and commercial restructuring. Bill also served on the Firm’s Executive Committee. He practices out of the Firm’s office in Charleston, West Virginia. Bill regularly represents creditors, bankruptcy debtors, and creditor committees in the Southern and Northern District Courts of West Virginia. 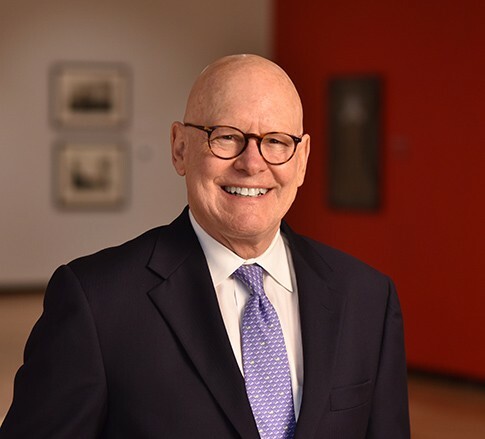 When it comes to corporate law, Bill literally wrote the book: he co-authored the Corporate Law Section of the West Virginia Practice Handbook in 1986, and has lectured on bankruptcy and commercial law to numerous bar and industry groups. He previously served as chairman of the Bankruptcy Committee of the West Virginia State Bar and has served on the Local Rules Committee of the United States Bankruptcy Court for the Southern District of West Virginia. Bill’s success in his practice has earned him recognition as one of The Best Lawyers in America® since 1989 by Woodward/White and is AV-rated by Martindale-Hubbell. Bill graduated with highest honors from the West Virginia College of Law, where he was notes editor on the West Virginia Law Review and was awarded the Order of the Coif. He earned an undergraduate degree in political science from West Virginia University, again graduating with highest honors.